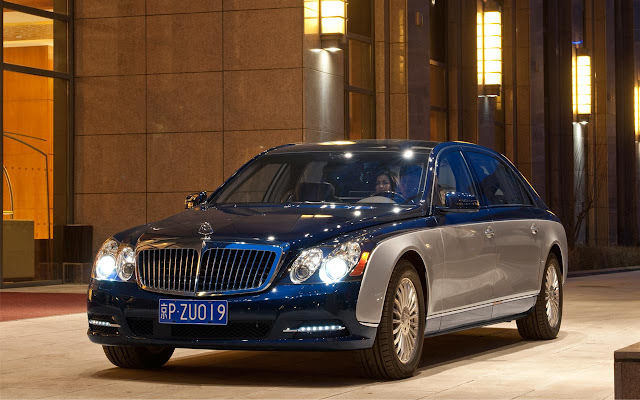 Luxury Cars and Watches - Boxfox1: Maybach – Edition 125! Maybach is constantly expanding its portfolio of high-quality equipment and appointments options. In the 125th anniversary year of the automobile the luxury brand is exhibiting a special one-off model, the Edition 125! 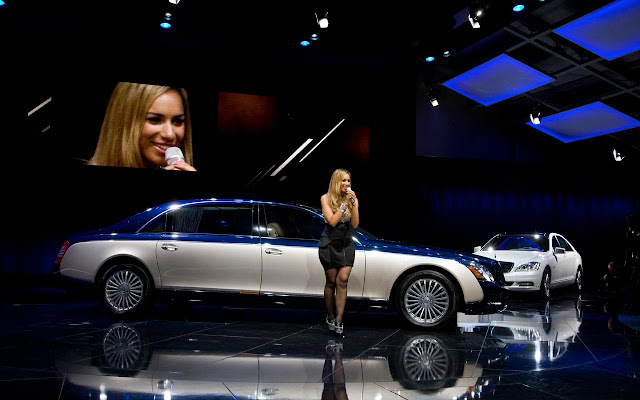 at the International Motor Show in Frankfurt in honour of the ingenious designer Wilhelm Maybach. 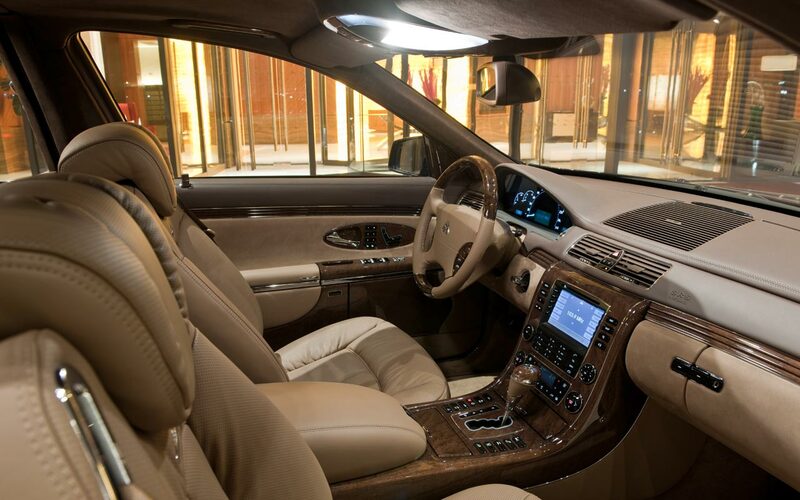 This high-end luxury saloon displays many familiar and new individualisation options which only Maybach customers can select. Highlights of the saloon painted in the newly created special colours Tahiti Black/ Patagonia Silver are lavish contour lighting and the laser-engraved light motif in the front armrest, which represents the alluring double-M in a curved triangle illuminated from inside. 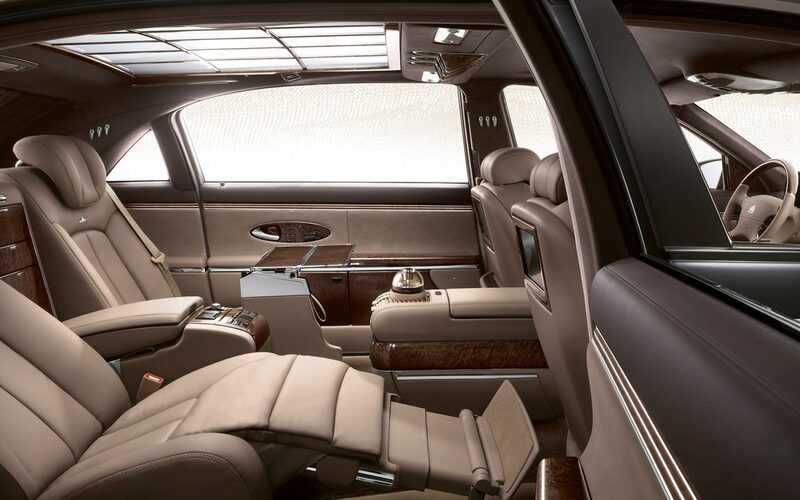 The other new features include a glove compartment lid embroidered with the signature of Wilhelm Maybach, silver-coloured topstitching, trim in silver carbon fibre/black piano lacquer, matt black 20-inch wheels with high-sheen spokes plus a newly styled radiator grille. 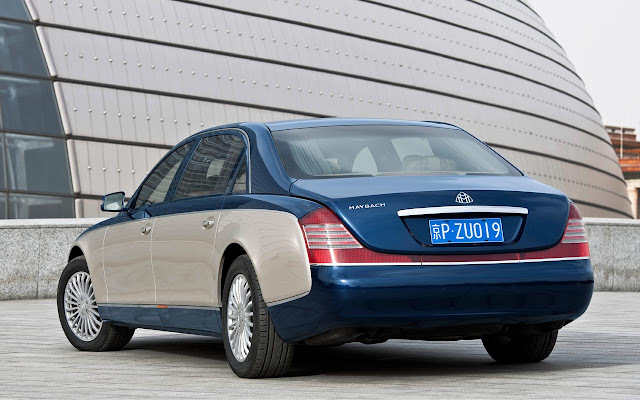 Even though the Maybach developers have increased the output of the Maybach 57 S and 62 S by 13 kW (18 hp) to 463 kW (630 hp), they were able to reduce the consumption figures (from 16.4 to 15.8 l/100 km) and the CO2 output (from 390 to 368 g/km CO2). The output of the 57 and 62 models remained unchanged, whilst consumption (15.0 as opposed to 15.9 l/100 km) and CO2 output (350 as opposed to 383 g/km) was also cut here. All the Maybach twelve-cylinder engines meet the EU5 standard/LEV2.